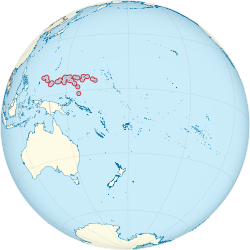 Federated States of Micronesia (/ˌmaɪkroʊˈniːʒə/) inyika iri muOceania. Nyika iyi ine miganhu neNauru, Papua New Guinea, Marshall Islands, Palau neIndonesia. This page was last edited on 21 Chikumi 2014, at 20:51.